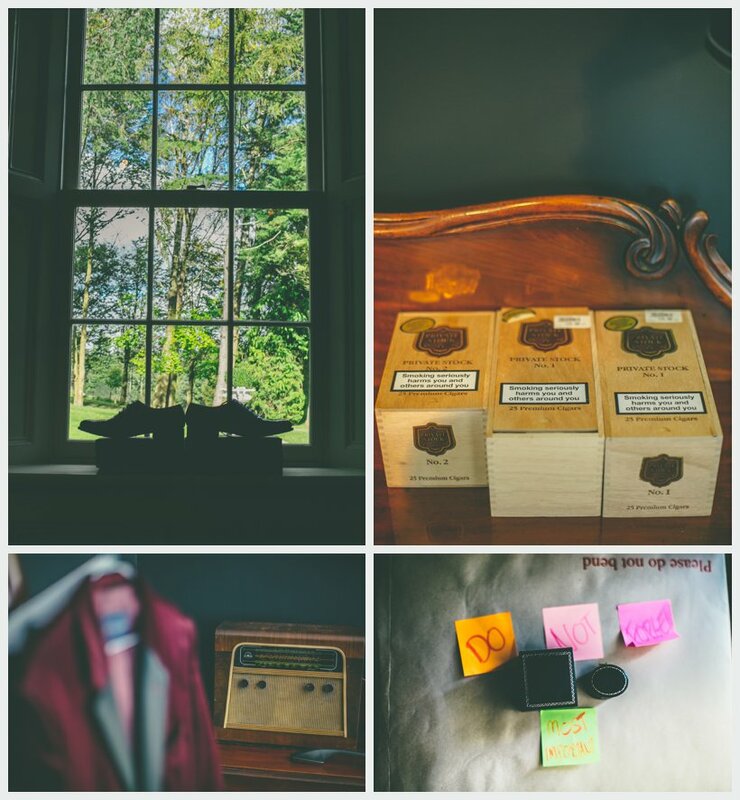 Take one dramatically situated Country House in Wicklow, add a couple of Dublin natives, great family and friends, a retro purple velvet suited groom and stunning bride and you’ve got all the ingredients for something quite special. The day kicked off with a splash as the Grooms Party indulged in an early swim followed by a jacuzzi and beers, the ladies on the other hand got their glad rags on to a few glasses of bubbly, you can’t go wrong either way! 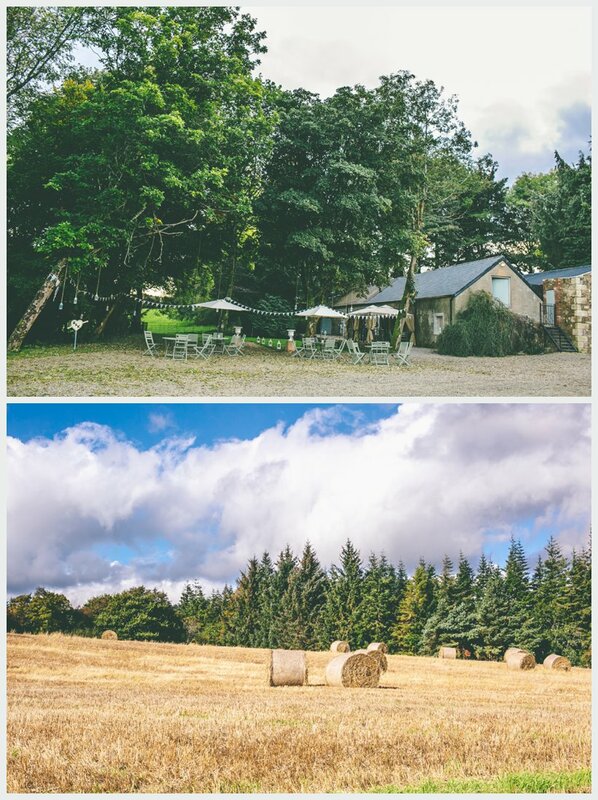 After their Church Ceremony this super fun and relaxed couple were up for a “bit of craic” with their Wedding Party, we captured some great laughs in the picturesque grounds of Clonwilliam House and even managed a few snaps amongst the field of haybales. The Grooms men donned purple dickie bows and the Groom totally rocked his purple velvet retro suit, the ladies were soft and glowing in white and blue. 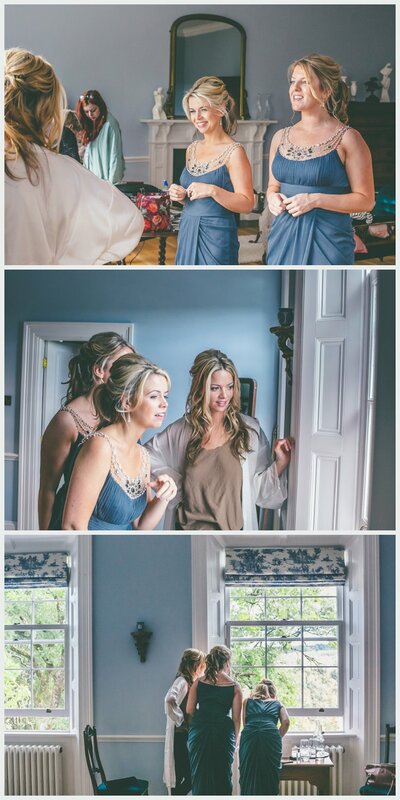 All in all Clonwilliam House is the ideal place to celebrate your marriage with an eclectic mix of old and new, formal and informal, the reception took place in the bohemian barn style building. It was a privilege to have documented such a special day. All I can say is “Katie + Zac, you rocked it bigtime”! Congrats again!